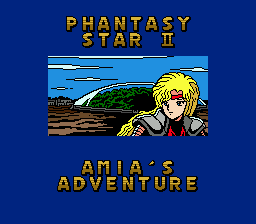 This is the title screen for an adventure of the original Guardian, Anna. She looks over her shoulder at a city in the distance, as well as what appears to be a domed forest. Isn't that kind of weird, though? I would think the city would have a dome, rather than the trees.